Days are shortening, the weather is cooling, leaves are changing colors and we can feel Autumn approaching: the season of pumpkins, scarves, cozying up by the fire, brisk walks and approaching holidays. When it comes to events, whether you’re throwing a holiday party or attending one, a good glass of wine paired with tasty hors d’oeuvres is sure to ‘bring the party.’ Whether you’re providing assortments as the host or as a guest, you’ll be sure to impress. There’s nothing better in cooling months than a mug of mulled wine. Here’s a great recipe to get you started. Begin with a wine high in tannins and alcohol such as a merlot or zinfandel. You can mix in a plethora of oranges or other assorted fruits, or you could make it a bit spicier by adding heaps of cinnamon and cloves, or even shake it up by adding spices like ginger, cardamom, or cayenne pepper! Be sure to serve this beverage in a handled mug so it’s easy to hold and sip. 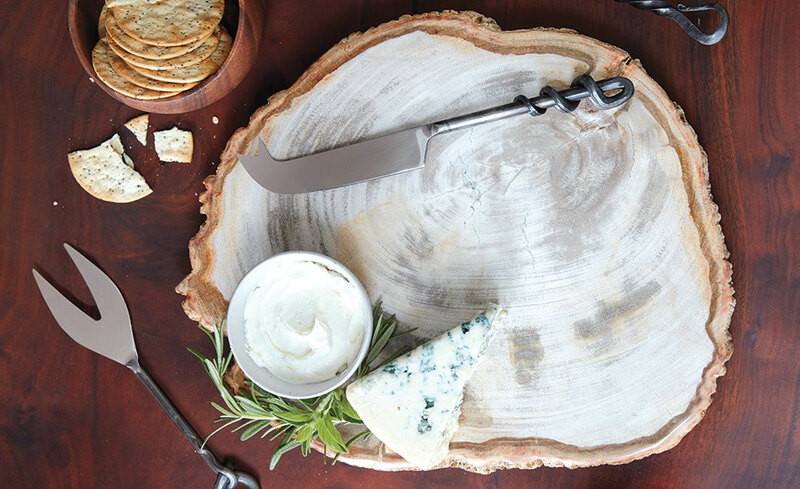 If you want to go with a simple, minimalistic route, try pairing with a simple nut and cheese plate. I like to prepare a plate with roasted almonds, crackers, and cheeses, like a sharp cheddar, gouda, and blueberry goat chevre. If you want a real treat, try glazing the almonds in butter, cinnamon, and sugar, and popping them in the oven to roast. Another great pair for the mulled wine, but a more ambitious route, is to make my personal fall-time favorite: molasses cookies. 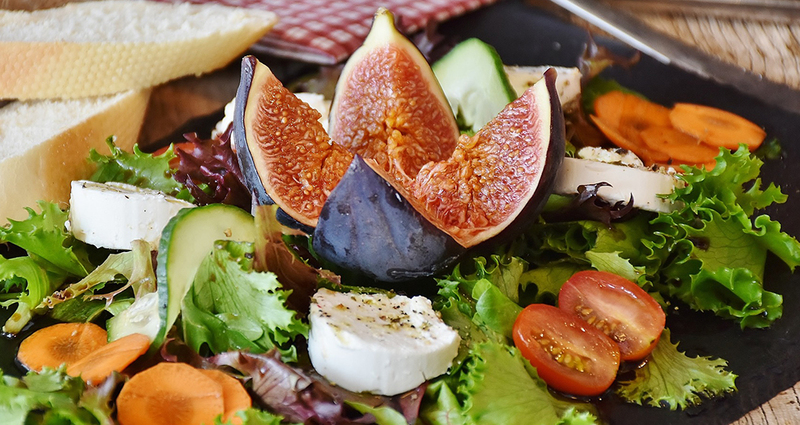 The sweet and nutty flavors of the figs and the sweet, creamy goat cheese recipe can be found here. Rieslings tend to be dry and slightly sweet with a light weight in body, pairing perfectly with complimentary sweet foods. The bottom line always comes down to cheese! 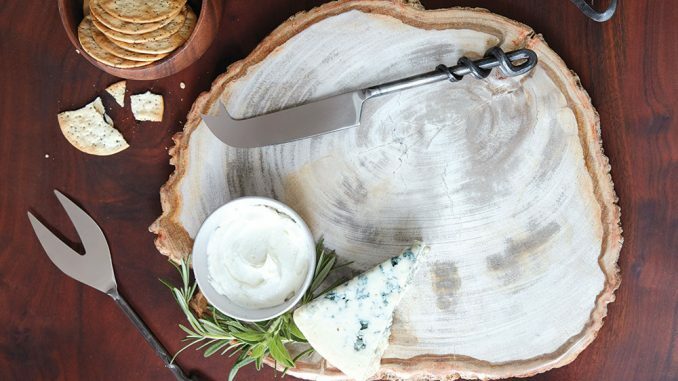 It’s hard to choose an incorrect wine to pair with blue cheese, because almost any of them will pair well. The recipe for this appetizer can be found at the Food Network. Keep in mind that the stronger the cheese, the stronger the partner needs to be. Choose a fruit forward wine, such as chardonnay, cabernet, or any muscato / muscat / moscatel, which is often fresh and aromatic, with a multitude of flavors. With super bowl season coming up, it is time to enjoy wings, chili and dips. While most people would associate these foods with beer, there are options for wine aficionados. 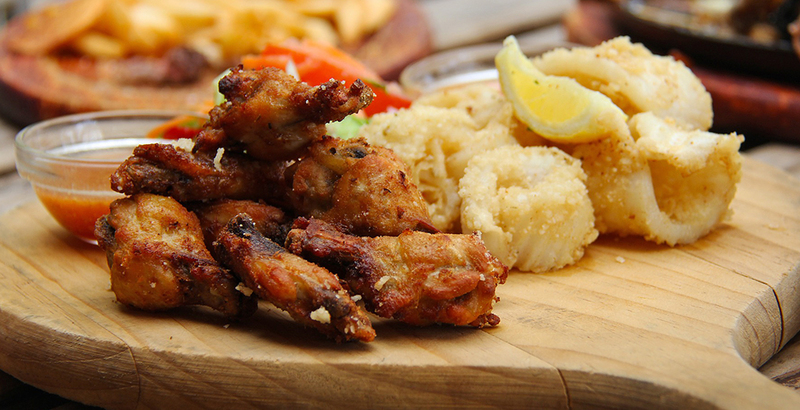 Here’s a great recipe for some oven-fried wings. As for the wine pairings, I recently tried different kinds of wine to pair with the wings, and the best pairing was with off-dry whites. My personal favorite is a sauvignon blanc. Its fruity tones and acidity matched the vinegar-based sauce on the wings. You also cannot go wrong with cava, prosecco, or a lambrusco. Of course there are plenty of sweet pumpkin dishes that all come to mind when someone says fall: pumpkin pie, pumpkin cookies, and of course, pumpkin spice lattes. I enjoy offering a more savory pumpkin dish that will make your mouth water. 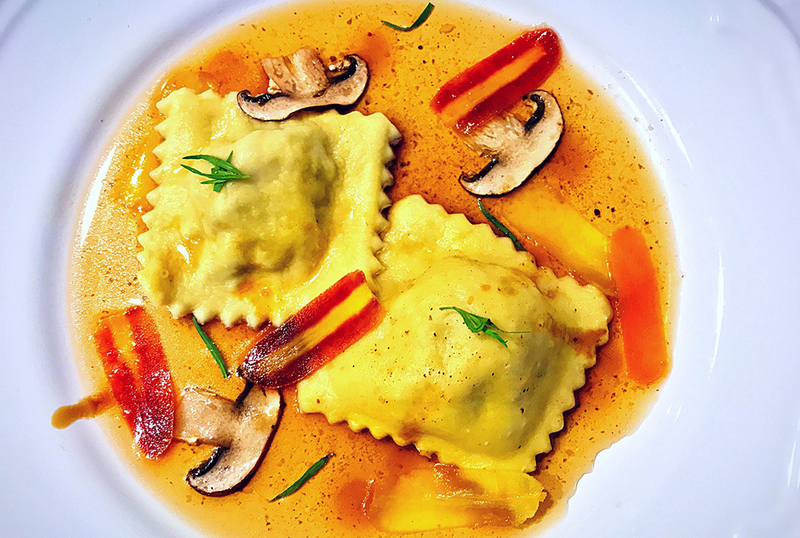 Here’s a great recipe for pumpkin ravioli – a personal favorite of mine. With pumpkin you’ll want to pair it with an aromatic viognier. For sweeter pumpkin dishes I would recommend a sweeter Paso Robles. If you’re making the savory pumpkin ravioli, I would suggest pairing it with a more acidic, lighter viognier. About the Author Brooke Nally: Brooke is a freelance journalist based out of Salt Lake City, Utah. When she’s not spending time exploring the mountains she’s curled up with a good book and a glass of any red wine. You can contact her via email should you have any questions about wine pairings, Salt Lake City, or what activities to do here should you visit. brookelynnally@gmail.com.